Nixon Motor Sports: #86 ES is Back! 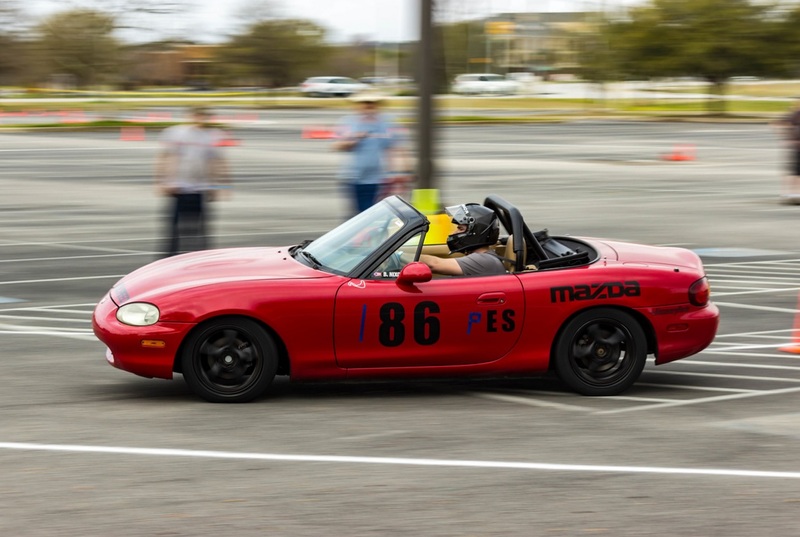 It's been a day or so short of 9 months since I managed to disable the Miata in Virginia Beach, but this weekend it was finally autocrossing again! Jason working the Miata at it's first autocross in 9 months. The car was running last weekend but suffered from a serious oil leak. The front main seal was replaced and solved the leak and I was all ready to drive it home and then it died a mile down the road. I managed to not fully secure the crank position sensor when fixing the oil leak and it caught some very critical sensor wires in the accessory belts and tore them apart. Dumb, dumb, dumb. Easy mistakes lead to more work, but nothing some new wires and some solder can't fix. With massive thanks to Philip, we swapped in a new sensor on the side of the road in the dark and I finally got the car home on Friday. Jason took the car out on Saturday and logged a few more break-in miles on the motor and replaced the year old Dunlop tires with super-sticky Bridgestones and then autocrossed it on Sunday in Florence. A lot is happening really quickly. Next stop is Adel, Georgia for the Dixie National Tour this coming weekend!